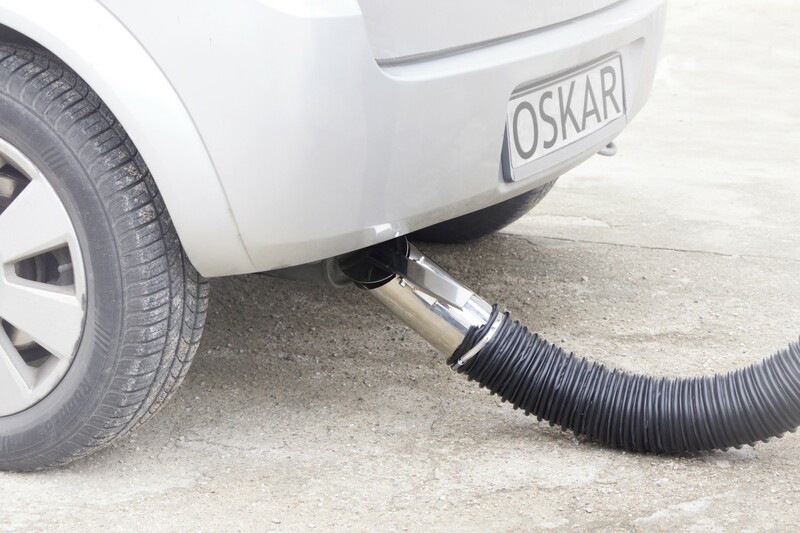 Basic Klimaroll exhaust hose reels application is extraction of car fumes in garages, car repair and maintenance shops or car showrooms. Thanks to Kimaroll exhaust hose reel you will maintain order in the workplace and, with easy to operate flexible hose, you will be able to locate and exhaust air pollution at source. When the exhaust hose is not longer needed simply wind it back on the hose reel which you can mount on the wall or under the ceiling. Spring recoil Klimaroll SP allow for automatic hose return of the hose and desired hose length can be chosen with use of built-in ratchet mechanism. Klimaroll E models, equipped with electric motor, are easy to work with use of up/down on-wall switch (models EP) or remote controller (models ER). Standard hose reels are equipped with 102, 127, 157 diameter and 10M length crash-proof flexible hoses which are up to 150°C. Flexible hoses of diameters 4″ (100mm), 5″ (125mm) and 6″ (160mm) and varying lengths are installed on the hose reel. The inlet end of the flexible hose can be equipped with different types of nozzles which adapt to the tailpipe. 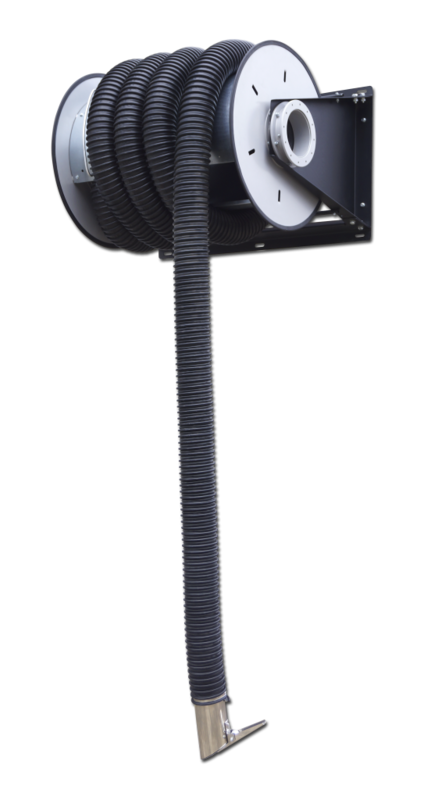 The outlet of the reel is designed to connect flexible hose or spiral duct with a diameter of 6″. A fan may also be directly mounted to the reel.